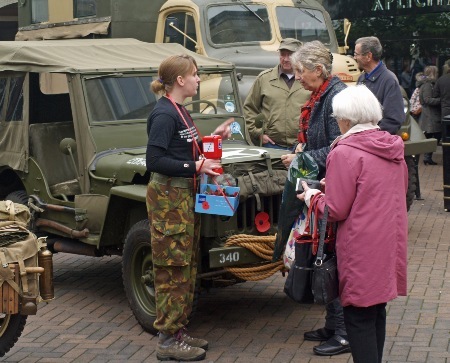 Once again members were out in force in North-ampton selling Poppies on behalf of the Royal British Legion. 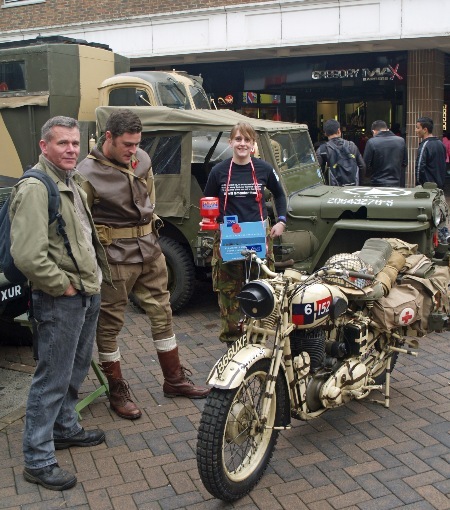 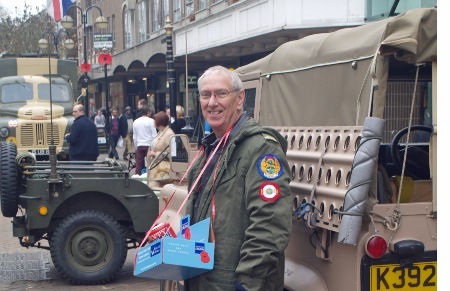 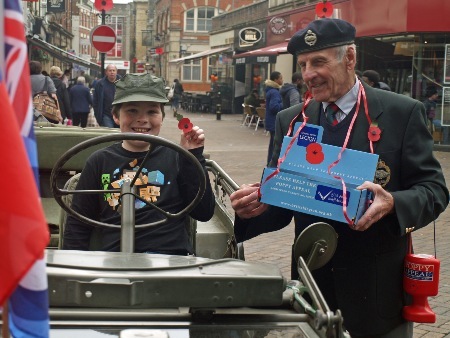 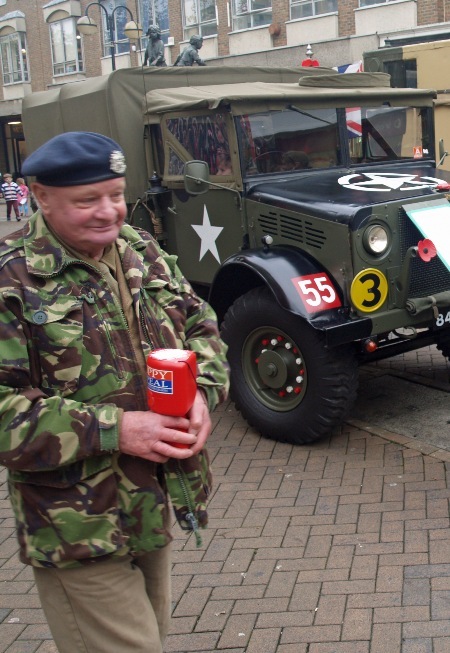 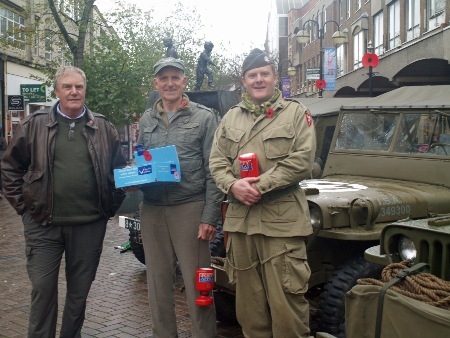 Organiser Tim Cross had an interesting chat with a shopper called Gordon Smith, whose father served in the REME from 1944-47. 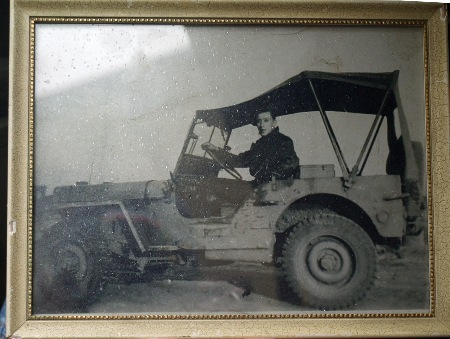 Craftsman Eric Smith loved driving Jeeps and his son promised to return the following Saturday with his favourite picture of Eric sitting in a Jeep. 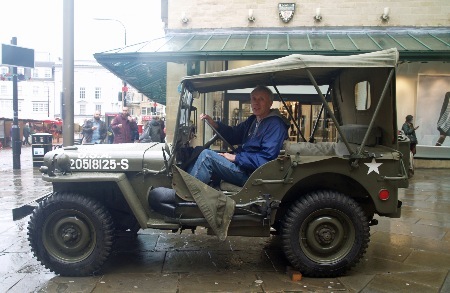 This photo and a shot of Gordon in Tim Cross's Jeep is show in this section.